This Drone Footage of UCONN Marching Huskies is CRAZY! Drones have invaded the college band world and they are AWESOME! 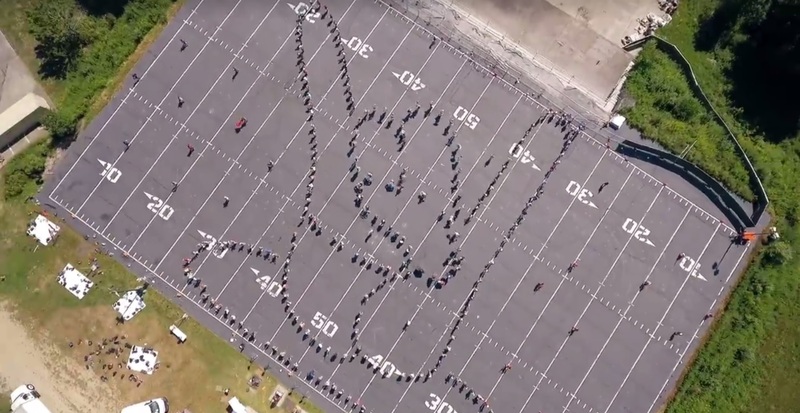 There may not be a better form of art that a drone could film than a marching band. Just think about the aspects of formations that would look so much cooler from directly over head. Well at UCONN they have taken drone filming to "new heights" (see what we did there). Watch as they fly their drone over rehearsal. The stadium shot at the end is UNBELIEVABLE! And before you get all worked up that there is no band music playing, just take a second to appreciate how far this technology has come and the impact it can have by producing such amazing images as these. Someone get us an endorsement deal with a drone company stat! If images like this can be produced for the band world weekly we should all be buying them. Wow.